Custom Outdoor Living Space in Bryn Marw, Pa.
"Gorgeous! I had given an inspiration picture of what I wanted and it was done as desired. 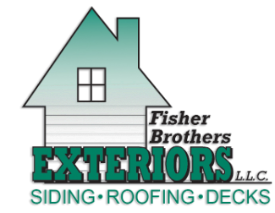 We had built 2 custom homes and had many other projects in the past several years but this project was done concisely with constant communication and this was the first time we worked with Fisher Brothers Exteriors, Inc. The cleanup was handled well at the end of each day and the staff was most pleasant and they remembered my name and asked me for input. Sam's follow up during the project was impressive, I have never seen anything like it before. This project was made of inside remodeling with shiplap and wainscoting and patio with a large-scale project which included an outdoor kitchen, fireplace and roof. The craftsmanship is amazing! We will not even bid out our next project we will work with them again." --John & Linda F.